Who is the real Jesus? Did the church in the fourth century change the true message of the Gospel? Was Jesus married? What are the Gnostic Gospels? Did Leonardo Da Vinci plant secret messages in his paintings? These and other questions are answered in this fascinating Bible-based video comparing the Christ of Scripture with the Jesus of The Da Vinci Code. Where Facts And Fiction Meet DVD by Vision Video was published by Vision Video in December 2005 and is our 20737th best seller. 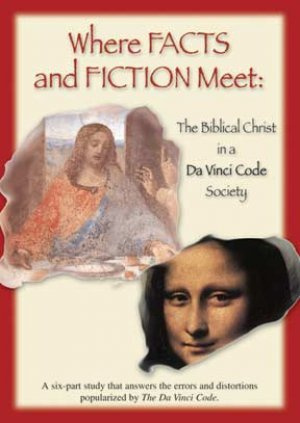 The ISBN for Where Facts And Fiction Meet DVD is 727985008653. Be the first to review Where Facts And Fiction Meet DVD! Got a question? No problem! Just click here to ask us about Where Facts And Fiction Meet DVD.